You can find me today over on Vintage Vonnie. www.vintagevonnie.blogspot.com where I’m discussing family, research, and my newest historical release, which btw, just got a 5 star review on Amazon! Last week I took a leap of faith on a story outside of my normal genre, and I could not have been happier I did! I just absolutely loved the story. Nichole’s character was truly enjoyable to watch her blossom while overcoming her life’s situation. I cheered on Chad as he worked through his fears. I found myself rooting for Chad over and over, and never too angry with his choices. I so enjoyed the humor in Niki & Chad’s mental musings. I laughed, cheered, and cried even. It was a wonderful well written heartfelt love story. I could not put it down until I was done that night, and I highly suggest taking a trip back in time to the Ton. Thanks Lilly Gayle for the escape! ≈ Comments Off on Slightly Tarnished Reviews! This tale starts slowly but once the story focuses on Nicole and Chad’s marriage and the barriers that stand between their love, it moves full speed ahead. 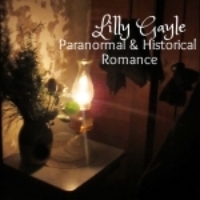 Lilly Gayle spins a tale one part suspense and one part family dysfunction. Shocking revelations float throughout the novel, but it is Chad’s hesitation to completely open up to Nicole that keeps the reader turning pages. Slightly Tarnished is buoyed up by a winning heroine and diverse crew of supporting characters. After American Nikki Keller’s father is lost at sea, along with his ship and cargo that would have paid the mounting bills, she and her mother are left homeless. Mrs. Keller accepts an offer from her brother to make their home with him in England. Loath to leave America, Nikki accepts her mother’s decision. So the two head to England to the estate of Henry Tidwell, Earl of Wellesley. The Countess of Gilchrest is anxious for her son, Chadwick Masters, Earl of Gilchrest to remarry and produce the needed heir. Although soured on marriage after his tumultuous relationship with his deceased wife, he understands his duty and fully intends to take a wife, just not the one his mother is so insistent upon. Terrified at her uncle’s plans for her future, Nikki runs with her mother from Wellesley’s home into the dead of night. Gilchrest comes across them and after hearing their story, brings them to his estate. Although it starts out as a temporary arrangement, it soon becomes permanent, but Gilchrest is hiding a secret, and Nikki wants to know what it is. Mystery, intrigue, love and romance all come together to form a satisfying story. Nikki, her mother, and Gilchrest fight to protect themselves and others they love from the machinations of those who would destroy their very world. A good story with strong characters and a satisfying plot, you’ll enjoy this one. I’m shocked and surprised. Slightly Tarnished was just released June 3, so I thought I’d have until at least December before I had to start promoting Wholesale Husband. But, for once, I’m glad I was wrong. The release date for Wholesale Husband is September 28th. She needs his name. He needs her money. But can a rich New York socialite and a poor Irish immigrant find true love in the gilded age? Betrayed by her fiancé and heart sick over her father’s death, Clarissa Burdick is further devastated when she learns she can’t inherit her father’s company—the company she loves—until she’s twenty-five or married. And Clarissa is neither. So she sets out to find a husband strong enough to protect her from her uncle’s thugs, too uneducated to run the company himself, and poor enough to marry a woman in name only. But Irish immigrant Devin Flannery is smarter than he seems and more educated than Clarissa expects. Her Wholesale Husband soon proves a greater risk to her heart than her company. “This is a serious proposal,” she insisted, gnawing her lip. “Who are you codding?” He leaned forward, stretching his leg, ready to descend from the suffocating confinement of the hansom cab. Again, she stayed him with a touch and again, his body reacted to the contact in a most unwanted way. He narrowed his eyes and pried her hand from his wrist. She rubbed her wrist again. He considered apologizing for his rough handling but after her last comment, he thought better of it. Even after he’d confessed to some schooling, she still thought him too stupid to read. Well, if she wanted a dumb Irishman, he’d give her one. There must be something seriously wrong with me. But he’d play along, just to see how far Miss Burdick would take this dangerous game she played. Miss Burdick’s luminous smile shone like the sun bursting through the clouds on a stormy day. Devin’s heart dropped to his stomach. Fiona would smile like that if he had the money to send her to that fancy boarding school. Damn if he wasn’t actually considering her proposal. My soon-to-be released historical has a cover. And it’s Beautiful. Slightly Tarnished is set in 1858 Britain but the book begins on Portsmouth Island, NC one year earlier. Victorian romance laced with danger. When a brooding English earl with a SLIGHTLY TARNISHED reputation marries his dead wife’s American cousin to save her from her uncle’s vengeful schemes, the sea captain’s daughter with a taste for adventure sparks desires he thought long dead. Nicole Keller has always been headstrong and independent, but after a failed business venture and a sinking ship take her father, her home, and her childhood sweetheart, Nikki must support herself and her mother. But moving to England and marrying Chadwick Masters, Earl of Gilchrest isn’t what she has in mind. And falling in love with the mysterious earl could endanger both their lives. I’ll post the release date as soon as I have one. I can’t wait!